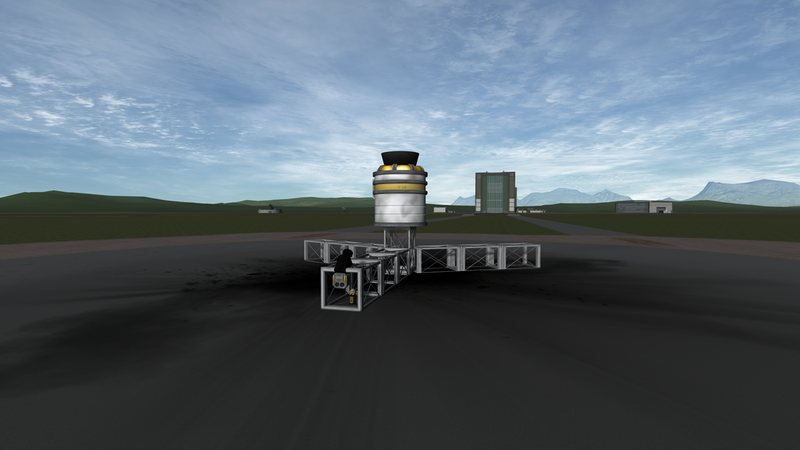 This is our first attempt at placing a spacecraft into orbit. 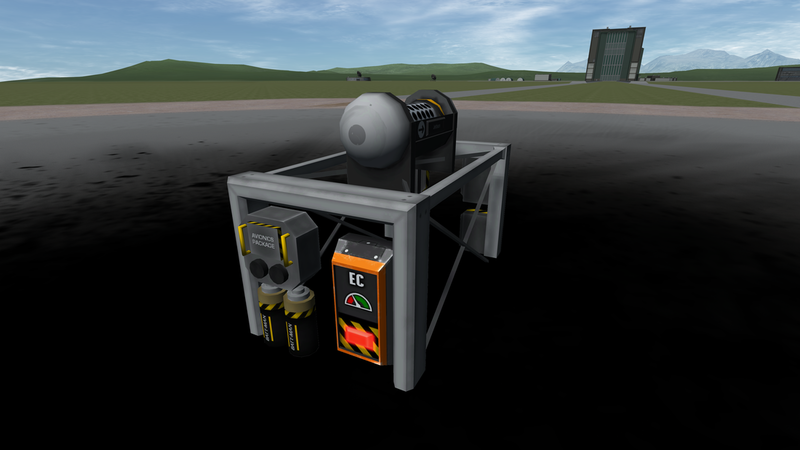 The spacecraft has very little functionality, and only a small amount of battery power, but will represent an important milestone in our space program's history. 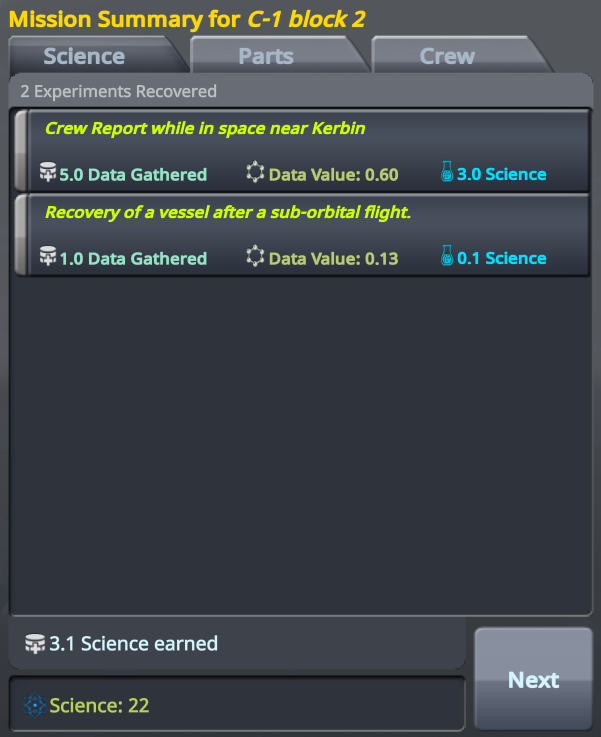 Unfortunately, due to a software upgrade error, the upper stage failed to perform its orbital insertion burn, and the spacecraft fell into the ocean. Unfortunately, the problem was misdiagnosed, and occurred in flight 2 as well. 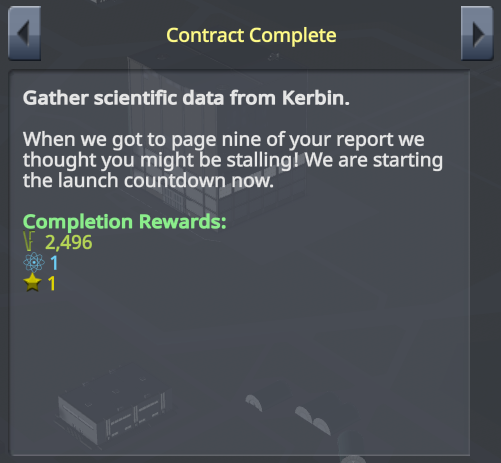 The software glitch has been resolved and our first satellite is now in orbit around Kerbin! 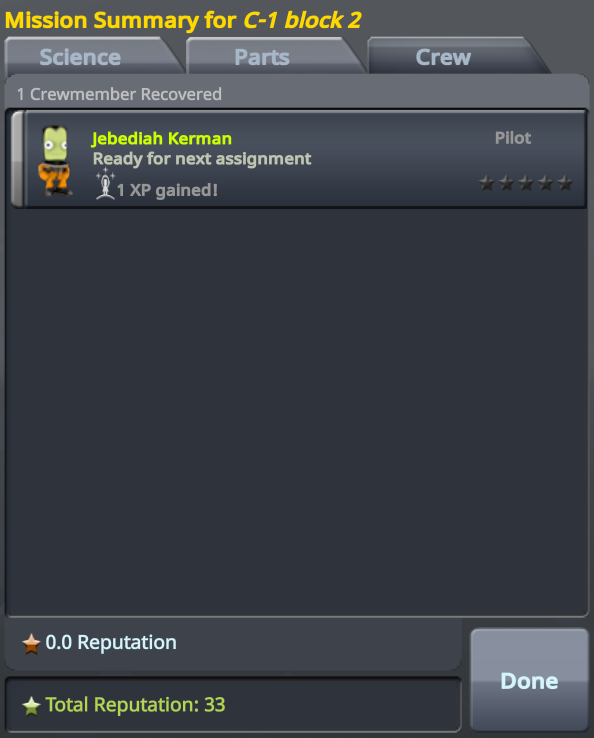 ​Our space program is ready for its next big step: launching a kerbal into space. A C-1 booster has been fitted with a Mk-1 capsule in an uncrewed ballistic test flight, in preparation for the first crewed flight. All went well until the capsule failed to orient properly and the parachute subsequently failed to deploy. 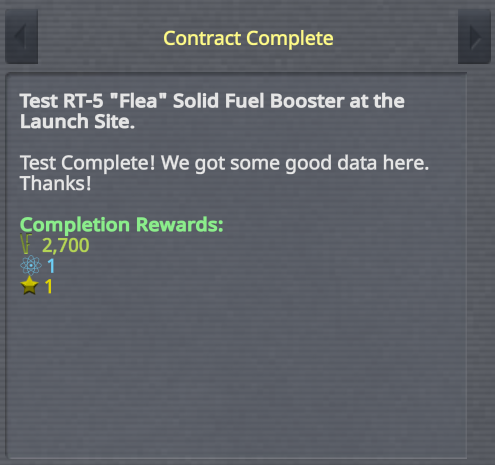 This is why test launches are performed before crewed missions. The installation of a heat shield causes the capsule to orient itself correctly during re-entry. 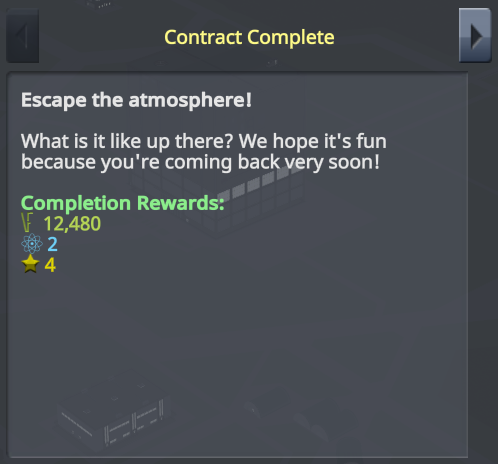 This rocket is now rated for crewed flight! 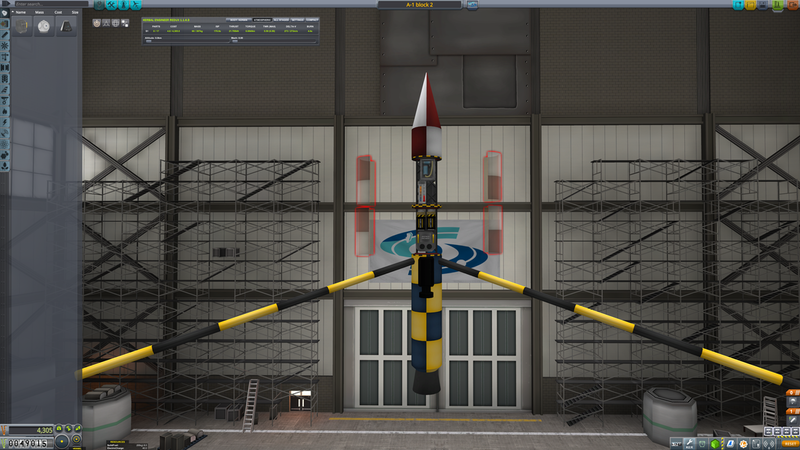 This is a test of our new liquid-fuelled, orbital-class booster. The payload is a mass simulator for a planned future second stage. 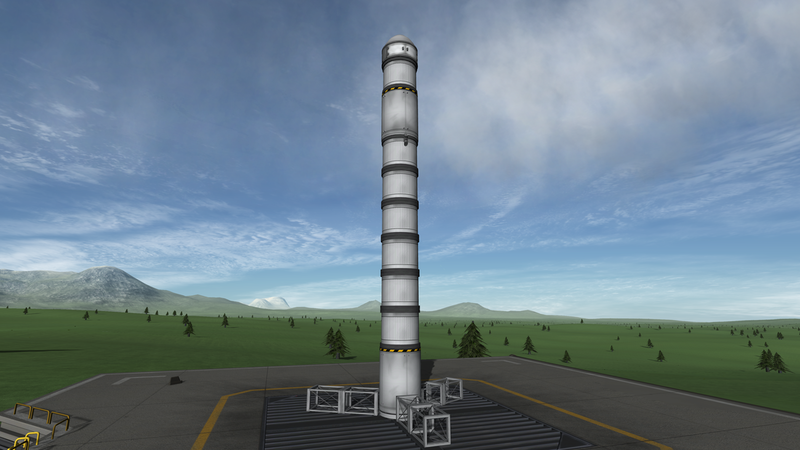 The booster succeeded in placing the upper stage on a suborbital trajectory. 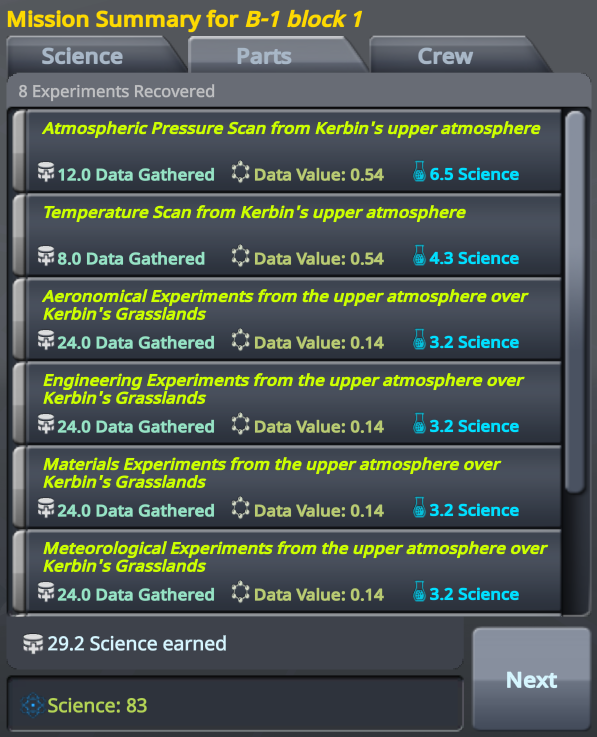 Unfortunately, the scientific data was not successfully received due to an unknown failure. This rocket is a B-1 block 1 with the payload from an A-1. 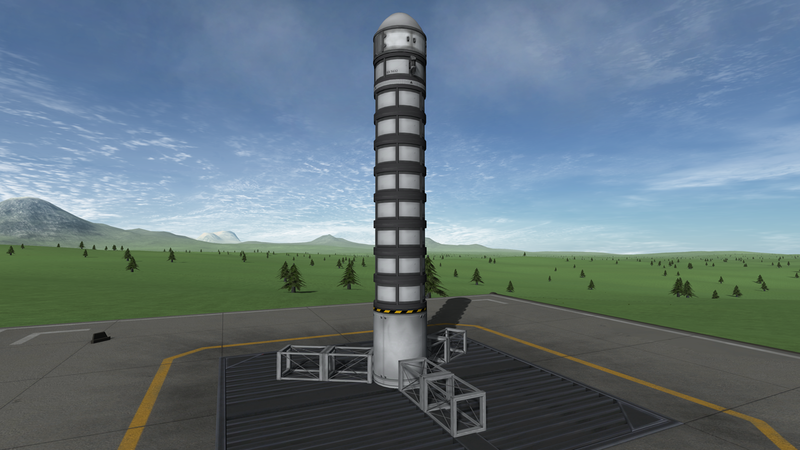 The lighter payload should enable the rocket to escape Kerbin's atmosphere. 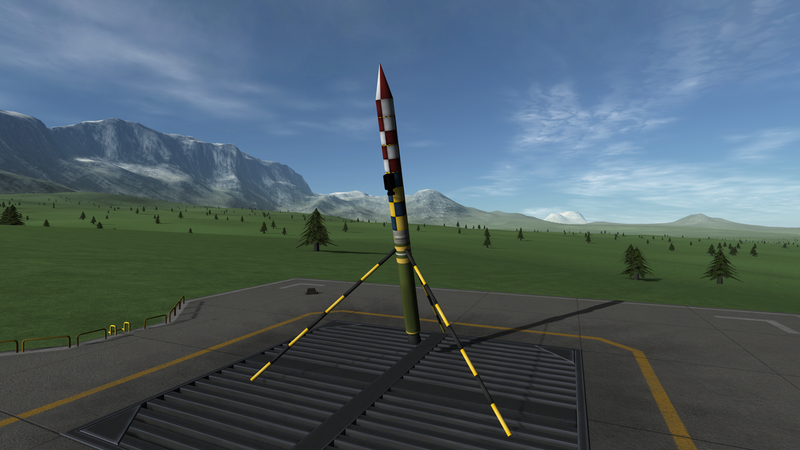 Unfortunately, the rocket had been tested in simulation mode with SAS, which the available probe core lacks. Due to this, the rocket failed to escape the atmosphere. Reducing the throttling of the first stage allows the second flight to reach space. 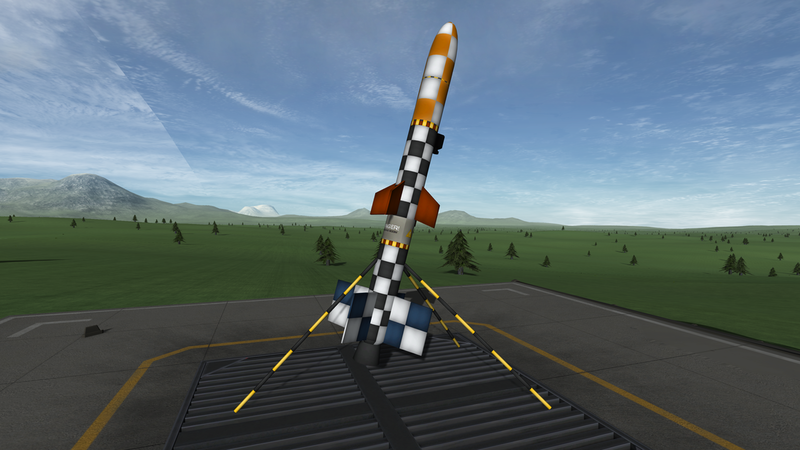 This rocket will test a larger, more powerful motor. The increased size is denoted by the "B" designation of this rocket. 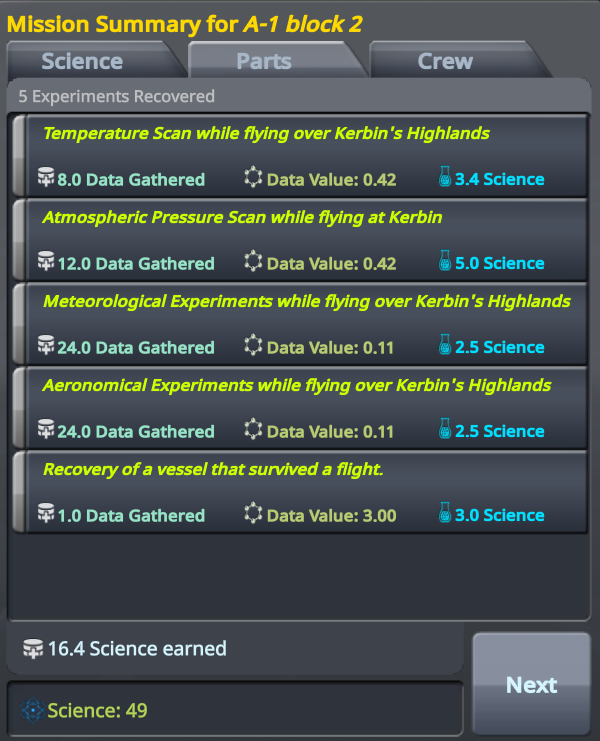 The flight was a success and much experimental data was recovered. 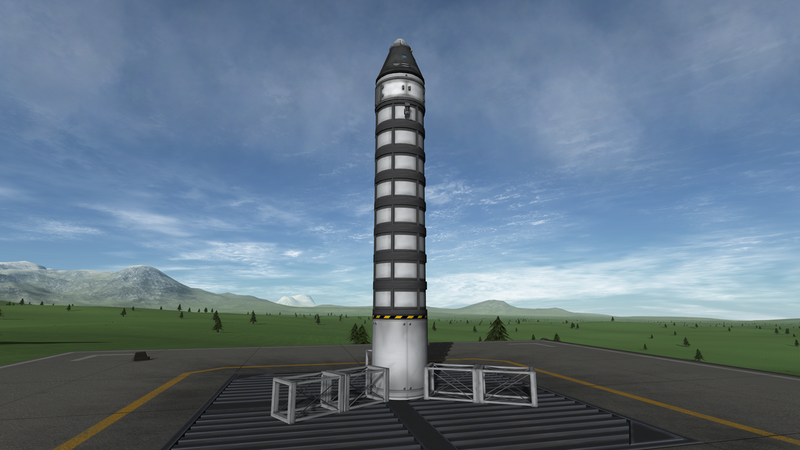 This will be the first launch using kOS, and the first multi-stage launch. 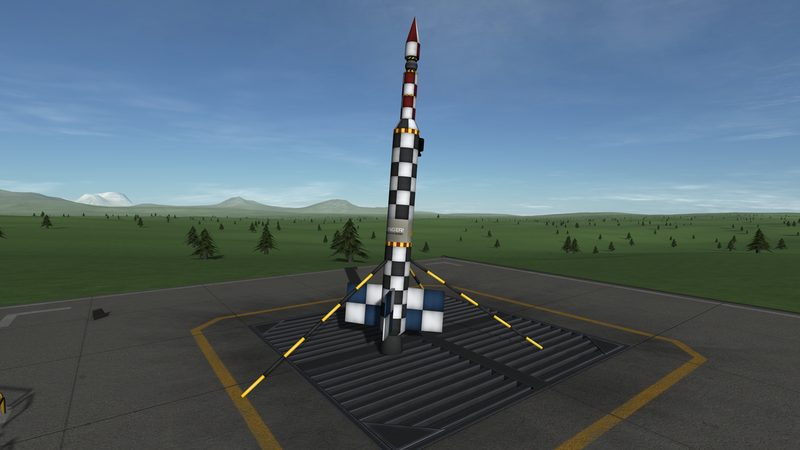 The launch was successful, but the lower payload compartment suffered a structural failure and experimental data was lost. This rocket uses the same single-engine booster as the A-1, but has an expanded payload bay containing scientific experiments. 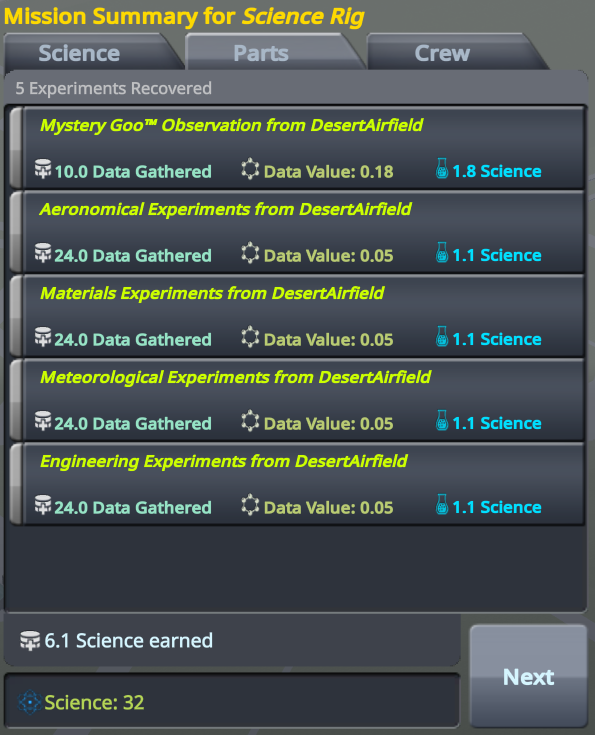 The rocket is programmed to automatically launch and record the scientific data after a set amount of battery has discharged. Unfortunately, the parachute deployment wasn't programmed correctly, and the payload was unable to be recovered. On a second flight, the parachute was still not programmed correctly. The timing problems were finally rectified, and scientific data from the atmosphere was safely recovered. 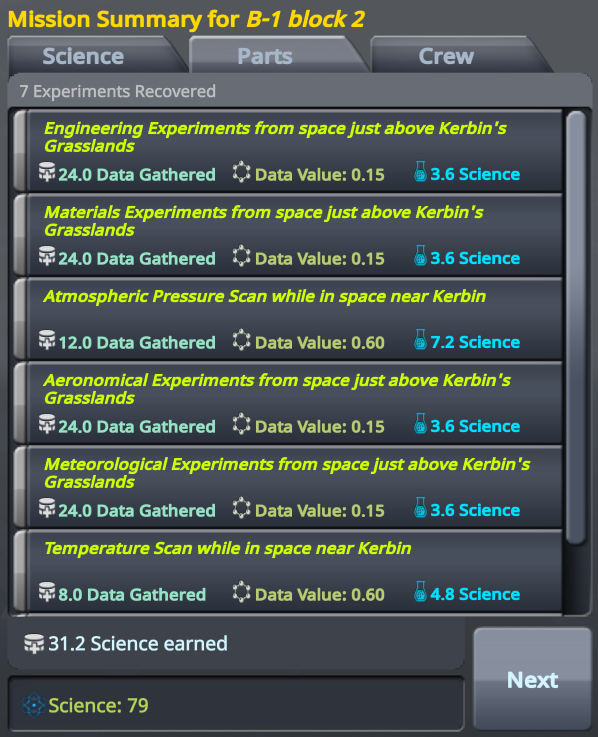 Now that some SmartParts have been unlocked, we can automated science collection at various launch sites around Kerbin before conducting experiments aboard rockets. This rig will allow us to test-fire new engines before launches. Success! The motor did not explode.